Internships can confirm a professional interest or lead to a surprising new path. They help translate theory into practice and get your foot in the door. While seeing your lecture come to life on the legislative floor is exciting, and securing a job as a result of a previous internship experience is fabulous, we know — and our students discover — that an internship provides so much more than that. Inevitably, internships help our students fully understand themselves and grow academically, professionally, and personally. Through Career Education's signature internship programs, students gain professional skills, networks, deep immersion in their communities, and an aligned, purposeful career mindset. We achieve this through close collaboration with a variety of stakeholders, including domestic and international organizations on nearly every continent that provide unparalleled access to a wide-range of industries and experiences. Several academic departments and other institutional offices also offer internships or grants for unpaid student-identified internships for students to receive stipends for unpaid, summer internships. Explore additional opportunities and funding through these programs. 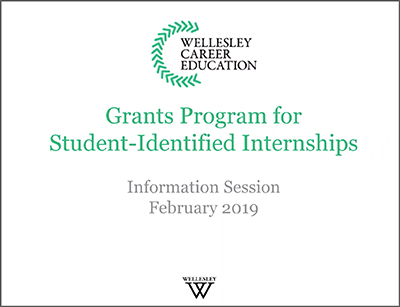 Wellesley Career Education offers opportunities for students to receive stipends for unpaid, summer internships that they find outside of placement-driven programs. Depending on factors such as award type, cost of living, and demonstrated financial need, our award amounts vary; most students will receive about $4,000. 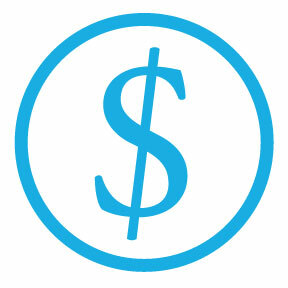 Wintersession Mini Grants, stipends of up to $500, are also available. Wellesley now makes it possible for you to obtain credit for many summer experiences, including internships, research, and volunteering. While the credit is neither required nor is it degree-bearing, Wellesley believes internships and other forms of experiential learning are an important complement to academics and should be acknowledged on official student records. Learn more about Internship credit. Learn about application requirements and how to prepare your materials. Find application instructions and a link to the internship centralized application here. You've got questions, we've got answers. Take a look at the frequently asked questions for help with Signature Internships, Grants, and Internship Credit. All application deadlines are final and fall at 11:59 PM (EST/Boston time). Applications will typically open one month before the deadline. The Paulson Ecology of Place Initiative inspires and prepares Wellesley women across disciplines to value sense of place and connection to nature in order to enrich their academic experience, personal well-being, and community, so that they make a positive difference in their local and global communities. This resource provides considerations to keep in mind as you craft your one page statement of intent about your internship in a Wellesley-sponsored internship program. Wintersession Mini Grants support students pursuing opportunities over Wintersession that enable them to explore an industry or career, expand their professional network, and/or gain career-related experience and knowledge. Such opportunities could include but are not limited to internships, volunteering, and job shadowing. Funding is available for both domestic and international opportunities. Experiences must meet Wellesley’s Internship Guidelines; however, there is no minimum time commitment to receive a Wintersession mini grant.